What Does a Facilities Maintenance Technician Do? People who work in an office building, factory, or any commercial space, are dependent on consistently running electricity, plumbing, and climate control. Every business facility, large or small, needs technicians to maintain and fix the systems that are essential to functionality of the building. 1 But what are the job requirements and career opportunities for these facilities maintenance technicians? How Do You Become a Facilities Maintenance Technician? Trade school is one route to a career as a facilities maintenance technician. In facility maintenance training, you might take mechanical drawing, electric wiring, woodworking, blueprint reading, and computer classes, all of which are designed to give you the skills to perform your job. Many specialties fall under facilities maintenance. Refrigeration and HVAC technicians need to do preventative maintenance and work on repairs and replace faulty units when needed. 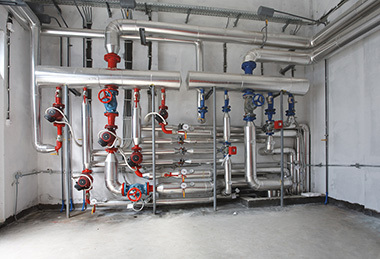 Facilities maintenance may need to have some skills in other areas like plumbing and electrical to ensure building operation continue to run smoothly or to be fixed quickly to prevent work shut downs. Some of the industries have higher than average growth according to the Bureau of Labor Statistics like HVAC5 and Electricians6.